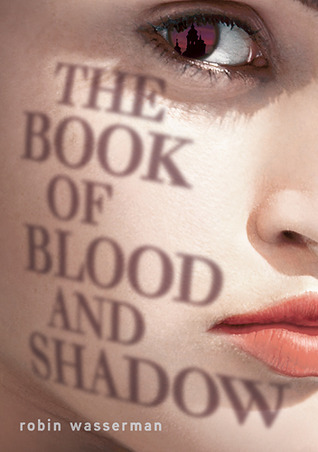 The Book of Blood and Shadow definitely had it's fair share of bloodiness, as you can imagine, but it wasn't nearly as bloody as I thought it might be. That's how this story begins, though, with the blood, which immediately had me fascinated. I love a good mystery, and this book was full of them. Mysteries, lies, murders and surprises at every turn. Although I had my theories, I ended up suspicious of just about everyone at one time or another! I love it when there are clues to the answer, but not such obvious ones that the hero/heroine looks like an idiot for not seeing them. Now, I'm going to admit, I don't like a lot of detail when I'm reading. And this book had a lot of background information, details about scenery, and many internal ponderings that did slow things down quite a bit. In the middle of the book, I actually considered putting it down because it was just not moving fast enough for me. BUT, I pushed myself over that hump, and I'm SO glad I did. This story got seriously intense, and completely fascinating! I love how much it was based on historical facts, but then completely re-imagined with this entire secret society of people. I was blown away. This book reminded me a lot of the Da Vinci Code. With the rich writing, the historical detail, the old religion, and of course, the Latin! There were mysterious old documents and writings, strange religious cults, and the fascinating, yet creepy setting of Prague. But about that YA part.....I'm not so sure. I really enjoyed reading it, but I can't imagine my daughter (Kit (17)) reading it. It was just too much (too much detail, too much history, too many slow parts). I do think that some teens will enjoy it; those deeper thinkers who love excellent, detailed writing and historical fiction. But others, I'm afraid, will just find it too slow for them. I think this one might appeal more to college age and above.